October 10th is the 12th World Day against the Death Penalty, promoted by the World Coalition Against the Death Penalty, an alliance of more than 150 NGOs, bar associations, local authorities and unions, created in Rome on 13 May 2002. Hanan, the National government’s Minister of Justice at the time. As mentioned in last week’s blog, the Labout Party had abolished the death penalty, but it was reintroduced by National in 1961. It was Hanan's role to introduce the legislation to Parliament, but he convinced enough of his party colleagues to vote with the opposition and thus abolished the death penalty in New Zealand. 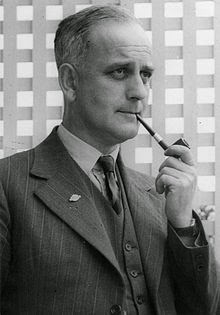 Hanan and nine other National MPs (Ernest Aderman, Gordon Grieve, Duncan MacIntyre, Robert Muldoon, Herbert Pickering, Logan Sloane, Brian Talboys, Mrs Esme Tombleson and Bert Walker) crossed the floor and voted with Labour to abolish the death penalty for murder. As Minister of Justice, it was his responsibility to introduce the law to Parliament, but he did so by saying that he disagreed with it. He convinced enough of his party colleagues to vote with the opposition and thus abolished the death penalty in New Zealand. From time to time, there have been half-hearted efforts to reintroduce the death penalty. In 2002, Christian politician Brian Neeson, a leading advocate for tougher sentences, called for the re-introduction of the death penalty, saying “I had to put my dog down once and I found it almost impossible to do, but there are some people I wouldn’t have any trouble with”. I am not overly surprised that a Christian would take such a stance. In 2001, as a newly appointed National Director of Prison Fellowship New Zealand, a chartered member of Prison Fellowship International, I became aware of a tension within the organisation over this issue. The founder and Chairperson of Prison Fellowship International (PFI), the late Charles Colson, a conservative Republican, had shifted his personal position from around 1995 onwards, and began advocating publicly for the death penalty in certain cases. Perhaps the emotional event that pushed me over the (philosophical) edge was the John Wayne Gacy case some years ago. I visited him on death row. During our hour-long conversation he was totally unrepentant; in fact, he was arrogant. He insisted that he was a Christian, that he believed in Christ, yet he showed not a hint of remorse. The testimony in the trial, of course, was overwhelming. I don't think anybody could possibly believe that he did not commit those crimes, and the crimes were unspeakably barbaric. 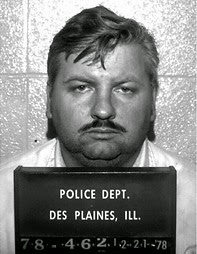 What I realized in the days prior to Gacy's execution was that there was simply no other appropriate response than execution if justice was to be served. Charles Colson, in coming to that view, took no account of Gacey’s mental health. Three psychiatric experts appearing for the defense at Gacy's trial testified they found Gacy to be a paranoid schizophrenic who suffered from a multiple personality disorder. The World Coalition Against the Death Penalty is this year, drawing attention to people with mental health problems who are at risk of a death sentence or execution. While opposing the death penalty absolutely, they are also committed to see existing international human rights standards implemented. Among these is the requirement that persons with mental illness or intellectual disabilities should not face the death penalty. bombing, when a truck-bomb explosion outside the Alfred P. Murrah Federal Building in Oklahoma City, Oklahoma, left 168 people dead and hundreds more injured. The blast was set off by anti-government militant Timothy McVeigh, who in 2001 was executed for his crimes. His co-conspirator Terry Nichols received life in prison. 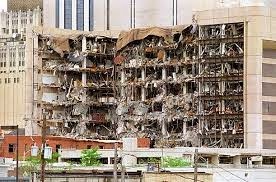 Until September 11, 2001, the Oklahoma City bombing was the worst terrorist attack to take place on U.S. soil. His position created a dilemma for the 100 plus nations that were chartered members of PFI. He later explained his support for the death penalty, and Colson's personal statement deserves close reading. This one paragraph summarises his position. "I must say that my views have changed and that I now favor capital punishment, at least in principle, but only in extreme cases when no other punishment can satisfy the demands of justice. The reason for this is quite simple. Justice in God's eyes requires that the response to an offense - whether against God or against humanity - be proportionate. The lex talionis, the "law of the talion," served as a restraint, a limitation, that punishment would be no greater than the crime. Yet, implied therein is a standard that the punishment should be at least as great as the crime. One frequently finds among Christians the belief that Jesus' so-called "love-ethic" sets aside the "law of of the talion." To the contrary, Jesus affirms the divine basis of Old Testament ethics. Nowhere does Jesus set aside the requirements of civil law." Ron Nikkel, the President of Prison Fellowship International, took a different view, and rose to the challenge by issuing a discussion paper on the topic, urging each of the PFI member nations to consider the issue, and to discuss it at a Prison Fellowship Council meeting to be held in Johannesburg, in September 2001. As can be seen from the following extract, Ron Nikkel’s position was very different from that of Charles Colson. While the Old Testament law is often used to legitimize the use of the death penalty, the overarching purposes of God toward all offenders is often overlooked. From Cain to Moses to David and others, God’s redemptive justice is evidenced not in the execution of the criminal (murderer), but in mercy. In the person of Jesus the full nature of God’s redemptive justice is revealed through his incarnation, death and resurrection. The dignity of human beings created in the image of God—the justification given for execution in Genesis—is now firmly established as God (in the person of Jesus) takes on human nature and becomes one of us. The demands of victims for vindication are satisfied in the power of Jesus’ resurrection after his victimization and unjust execution. This power to triumph mercy over vengeance is the “Christian” victory over evil. The Eight Biennial International Council meeting of Prison Fellowship International was held in Johannesburg, South Africa from the 17 – 19th September. It was there that Council members would discuss and debate an international position on the death penalty; and I was able to attend and present New Zealand’s position on the topic. The Council meeting was memorable for two reasons. First, it took place a week before the terrorist attacks launched by the Islamic terrorist group al-Qaeda upon the United States in New York City and the Washington, D.C., metropolitan area on Tuesday, September 11, 2001. While it focused minds on the death penalty issue, it also meant that the US contingent did not attend – and it was in that group that we expected the greatest opposition to the abolition of the death penalty. The second greatest memory was staying at a game park, which was populated by a colony of baboons. They engaged in their own terrorist activities; invading unlocked bedrooms, attacking staff carrying trays of food, and occupying the reception area. We had prepared a paper supporting the abolition of the death penalty, relying heavily on the wisdom and theological reasoning of (now) Professor Chris Marshall, currently the Diane Unwin Chair of Restorative Justice at Victoria University. I had 60 copies printed for distribution, and had left them on the reception desk. 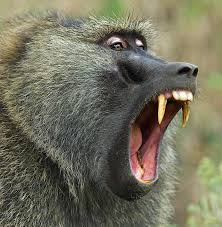 To my disgust, the house baboon leapt on to the desk, positioned herself above the papers, and urinated over them. It seems that literary criticism is not confined to the human species. 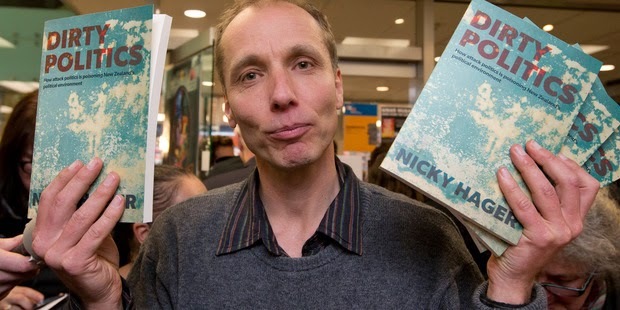 Nikkel however, thought sufficiently well of New Zealand’s position on the death penalty to attach it as an appendix to PFI’s discussion paper. The concluding paragraphs of the submission sought to reconcile the competing Christian positions and move toward a theology of restoration. We are aware that this position may challenge some Christians who would claim that abolitionism rests on nothing less than a fundamental misunderstanding of the holiness, righteousness and justice of God. For those, the Bible does not merely permit capital punishment; it enjoins it as a moral necessity. But one wonders what has become in all of this of the redemptive concerns of the Christian gospel, a gospel that proclaims God’s saving justice toward all, even the worst of criminal offenders, even those who murdered Jesus Christ , the image of God par excellence. Capital punishment is incompatible with a gospel of redemption and reconciliation, . This is not to deny the seriousness of sin, the moral repugnance of homicide, the culpability of criminals or the validity of penal sanctions as such. But the moral order of God’s universe is grounded in and preserved by something more profound than the need to balance rewards and punishments on earth. Put positively, Christians should be the first to clamour for true justice, for redemptive justice, a justice that fosters healing and renewal, a justice informed by the spirit of Christ and not the letter of the law. Restorative justice cannot, of course restore the life and relationships of murder victims. But nor can retributive justice, for only God can restore life to the dead. 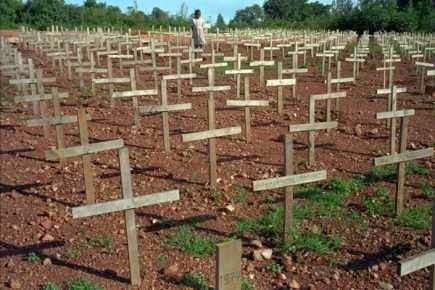 Genocide, in which over the the course of 100 days from April 6 to July 16 1994, between 800,000 to 1 million Tutsis and some moderate Hutus were massacred. were actively advocating for the abolition of the death penalty in their country, and for the introduction of restorative justice processes nation-wide. In 2006, an opinion piece on the abolition of the death penalty in Rwanda supported that government in its efforts to introduce community-led restorative justice processes. “Restorative justice is a movement of non-violence. It provides a mature human response to complex situations of conflict and crimes like genocide. It does not necessarily provide a solution either. But it is a process that respects those involved and enhances the families and communities to which they belong. It recognises that violence is unacceptable and provides a non-violent but challenging and positive way of proceeding. Restorative justice appeals to the better side of human nature and not the destructive, vengeful dark side. It is a movement of hope. The government is showing imagination and courage in promoting some restorative justice processes through Gacaca courts. It is vital the best people get to run these pilots. But this is not just another government project. As a result of the discussion, the 2001 International Council meeting of Prison Fellowship International unanimously passed a resolution opposing the death penalty. This outcome was due in no small part to Ron Nikkel’s personal courage and astuteness in promoting the discussion across Prison Fellowship International, and providing the membership with the opportunity to debate the issues. That he was able to do so, and still retain a positive working relationship with Chairperson Charles Colson, is a testimony to his acumen. Ron has since retired, but is in Auckland next week, and has agreed to speak on the topic ‘Just Prison” at a public meeting hosted by Prison Fellowship and the Robson Hanan Trust (Rethinking Crime and Punishment/JustSpeak )to be held on Wednesday, 15th October, 7.30pm at the Holy Trinity Cathedral, Cnr St Stephens and Parnell Road, Auckland. The New Zealand submission owed its success to the scholarship and insight of Professor Chris Marshall.. At the same time that Ron Nikkel is in New Zealand, Chris will be facilitating a forum to explore the future of restorative justice in Aotearoa; looking at issues in the Justice Sector , Education, Social Development and Youth Justice, and the development of Restorative Cities. Let’s take time out today to remember the people of courage who have carried forward the fight against the death penalty, and have chosen instead to advocate for a justice that restores; the late Hon Ralph Hanan, Ron Nikkel, and Chris Marshall. West Weekly, May 22, 2002, p.8. For those interested in the idea and principles of justice, last month was something of a roller coaster ride. The ‘Dirty Politics’ saga revealed not only actions and activities that bore little resemblance to our ideas about how democracy should work, but exposed a political leadership that was mean, vengeful, and inherently evil. By way of contrast, there were public acts of peacemaking and reconciliation of the highest order, which stand as shining exemplars of the way in which justice should be done. 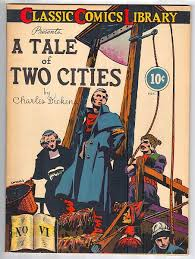 It brought to mind the opening paragraph of Charles Dicken’s “The Tale of Two Cities”. Let’s get the bad stuff over with first. The ‘Dirty Politics’ saga revealed a Minister of Justice who believed that if you are wronged, you should ‘give back double;, ’that if you can’t be loved, the next bests thing is to be feared. Whatever happened to the possibility of respect? The whole ‘dirty politics’ debacle was gut-wrenching. New Zealand has been served in the past by some outstanding Ministers of Justice; Jack Marshall, Ralph Hanan, Martin Finlay and Geoffrey Palmer come to mind. They were all people of principle; people who had a vision for a fair and equitable society, and whose decisions were not based on ‘vengeance’ or pay back, but on the creation of a fair and peaceful society. And now this. The Robson Hanan Trust which I founded in 2009, is named (with the consent of the respective families) after Dr John Robson, a former Secretary of Justice, and the Hon Ralph Hanan, Minister of Justice. Their partnership between 1960 and 1970 produced a bundle of reforms which reshaped the criminal justice system. Not all of them worked as intended, but they were all headed in the right direction. Times were different, of course. It was possible for a departmental head to have a different view from that their political master, and they were encouraged to express and argue for it, without fear. There were of course, times when principles of justice were at stake – it was then that personal courage was tested. Hanan was a tireless crusader for the abolition of capital punishment, which had been suspended under the Labour government (1957–60). However, in 1961 the National government introduced legislation which provided for capital punishment in three specific situations. As minister of justice Hanan was required to introduce the bill. He accepted the responsibility, but did not hesitate to say that he disapproved of it. He even encouraged groups outside Parliament to campaign against the legislation and successfully persuaded individual government members to vote for an amendment abolishing the death penalty. “this was a crucial moment for the chaplaincy – the work of fourteen years could well have been nullified and strangely enough the crisis was precipitated by something that had nothing whatever to do with the work of prison chaplains. I don’t think that Andrew was being over-melodramatic. It was not only about ‘win at all costs’, but equally about the values and attitudes held by people in the pursuit of what is a ultimately a Pyrrhic victory – a victory where the heavy toll to people’s personal mana and reputation and the nation’s integrity negates any sense of achievement or profit. During my period of speechlessness, I reflected on whether I had ever encountered behaviour of the kind described in ‘Dirty Politics’. Two incidents came to mind. Section, I was asked by the Principal of a private college for girls, to assist with a spate of vicious gossip and scare mongering by a group of girls, which had led to one of their victims seriously self-harming. Their modus operandi was to write anonymous letters about their targets, and with the aid of a Gestetner copying machine, post the letters into each pupil’s personal locker. It was unclear who the offenders were, but the letter’s evidenced cruel and vicious minds, and a value set that failed to comprehend the damage they were causing to others. It was a reminder that even though your work life is spent mainly with the poor and marginalised, the potential for criminality and destructiveness exists throughout society. Here were a group of attractive, well-bred, affluent school girls, engaging in behaviour that was potentially life destroying. The Principal asked me to speak at the school assembly, and engage in a ‘scared straight’ rant, emhasising the punishment they would suffer if caught. I chose instead, to provide them with a couple of case studies, talking about the harm caused to the victims and their families, including one in which the victim committed suicide. I left the whole issue hanging, and invited them to talk about the consequences of this behaviour with their friends and members of the staff. It seemed to work – the behaviour stopped and two parents complained about their children being very upset by my talk. The second incident occurred a few years earlier (around 1967) following an incident in which gang members threw a Molotov cocktail into a rival gang’s house, narrowly missing, but seriously traumatising a two year old child. Police practice in those days was to interview suspects individually. I decided to conduct an initial interview with the five suspects in the same room, to see whether the group dynamics might elicit some additional information. Well it did. They started boasting about their escapades and their battles with rival gangs. It was ‘Dirty Politics’ all over again. 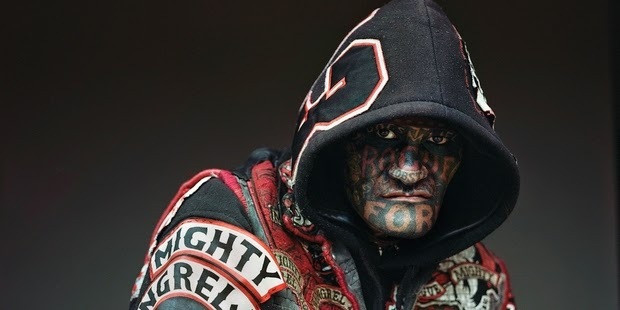 They talked about the kick they got from being feared within their community, the importance of ‘payback’ and getting even, and the physical harm they caused to people who resisted their behaviour. All in the pursuit of power and ‘winning at all costs’. 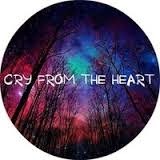 So my ‘Cry from the Heart’ is this. Whether it is a bunch of upper-class pākehā schoolgirls, a gaggle of angry, disempowered Māori from the margins of society, or a cadre of elitist politicians and bloggers who set about to destroy lives, reputations, and abuse the principles of democracy –the motives and drivers are the same – and the impact on our nation is ultimately destructive. And it is Not Justice. what real justice looks like. 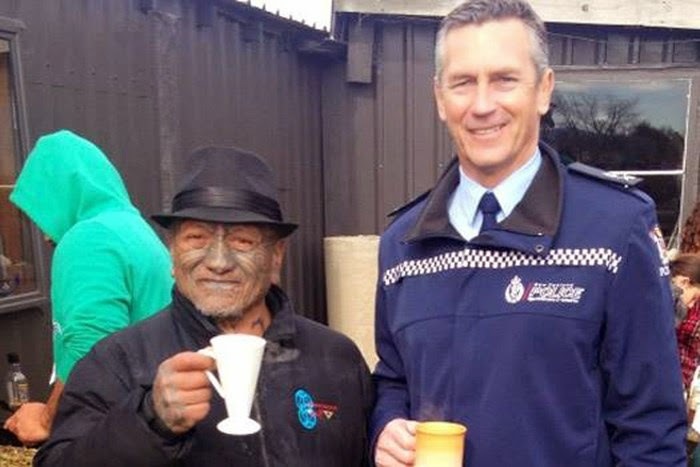 It was the image of courageous and sincere Police Commissioner Mike Bush standing before elders of the Tuhoe Nation, apologising for the events of 2007, when out of control Police terrorised the men, women and children of Ruatoki. That was followed a week later by an official Government apology by Attorney General , the Hon Chris Finlayson, to Tuhoe for Crown actions since 1860; including indiscriminate raupatu or land confiscation, wrongful killings including executions, years of scorched earth warfare, the failure to implement the Urewera District Native Reserve Act 1896 and the exclusion of Tuhoe from the establishment of Te Urewera National Park. misconduct, and the exercise of state power, and its devastating effect on Ngai Tuhoe. Tuhoe chief negotiator for the settlement, Tamati Kruger said it was a historic day for them. "Today, was a day to be remembered - a day to celebrate peace and a forward looking future,". 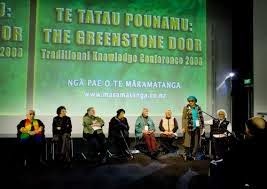 But he also made it clear that there was some distance to travel before they two parties could achieve the ultimate goal of closing ‘Te Tatau Pounamu’ the green stone door’. ‘The Greenstone Door’, refers in a figurative sense to how, in times of trouble, peace can be secured and warfare ended through a political marriage and the exchange of greenstone. The peace thus established was often likened to a greenstone door as both were seen as being durable, strong and highly valuable. The Crown’s dual apology provides the occasion for discussion of indigenous strategies for sustaining relationships between collectives and over generations, for resolving conflict, for peacemaking, reconciliation and restorative justice. It will be important for the Crown to consider how to achieve the ultimate aim of reconciliation and ‘whakahoki mauri’ i.e. the restoration of community balance. If, for example there is an expectation that at some point they will be forgiven, that may be problematic. There is no Māori word for forgiveness. The widely-used Protestant version of the ‘Lord’s Prayer’ in Māori (and the corresponding scriptural translation in Matthew 6:12) uses the term ‘muru’ to refer to the Christian idea of forgiveness, while Roman Catholic translations use words such as whakakāhore (negate) or wareware (forget, be unmindful of) – in my view, a more accurate rendition. The word ‘muru’ means to to wipe or rub, which includes both rubbing off and smearing something on, as well as the plucking off or stripping of leaves from a branch or twig. By extension, the term included the act or institution of ritual seizure or ‘stripping’ of goods from the guilty individual or his family or community for an alleged offence. Māori cultural experts argue that forgiveness was not part of the indigenous thinking process. Once the community was back in balance, the matter was closed and forgotten i.e. “wiped out” – and the greenstone door was closed on the memory. 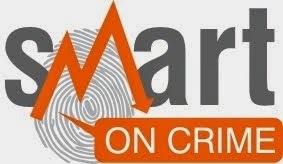 The overall aim of dispute resolution was the restoration of mana, to achieve a balance of all considerations and to achieve a consensus; it was not an adversarial process. When there had been a dispute that had affected the spirit and mauri (life force), the question was how to bring it back into balance. Regardless of what level or who was involved, there is the same fundamental principle, that of ‘whakahoki mauri’ or restoring the balance between the two parties. Apparent here is the notion of ‘healing’. What then was this apology about – if not to elicit forgiveness? 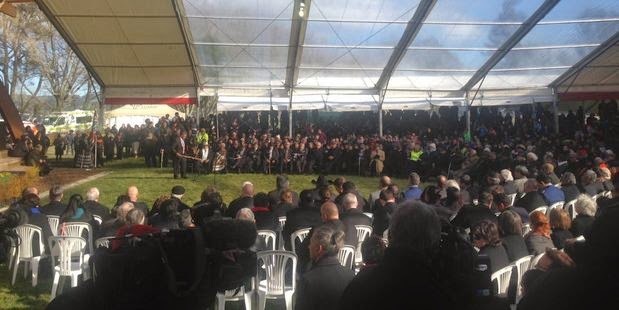 First, it was about exercising the state’s capacity to make and keep promises – in this case, the promise of a different relationship, and a commitment to the covenant known as the Treaty of Waitangi. It was a genuine attempt to acknowledge and clear up the past, to stop engaging in selective remembering, and to read our national past differently. Economic concerns are not the prime movers in the realm of politics. The values and options that guide economics are intimately linked to the fabric of our cultural values, which are in turn deeply influenced by our past. The traumas and triumphs of our past shapes and informs our identity and the way we perceive our mission for the future. It certainly shapes the way we do justice. What are contained in these two apologies is a clear and honest acknowledgement of our history, and a declaration of our future fitness to be a trusted covenant partner with the Tuhoe nation. A healthy ‘economy of memories’ is the founding principle of any form of dependable, authentic and just politics. That is how we need to do justice, from Monday on. You can’t do all this overnight. Perhaps the initial challenge is to convince the nation that as from Monday, justice will be done differently, and the new Minister will act accordingly. In consultation with members of the Justice sector, we recommend a number of key changes which will be easy to implement, and will signal the government’s intention to behave differently. Here is our bucket list of ‘Things to Do’ for our new Minister. If you are a lawyer , keep reminding yourself that legislation may be about law, but it is rarely about justice. Develop a Hanan/Robson relationship with your CEO. Encourage him or her to offer advice freely, encourage robust debate, and resist the temptation to treat them (to put it crudely) as just another ‘fart catcher’. Insist that government department’s prepare Regulatory Impact Statements on new legislation that are comprehensive, well researched and address the unintended consequences. Promote and insist on a legislative process which is consistent with democratic principles. The New Zealand Law Society’s report to the United Nations has a handy list of things not to do; e.g. · Diverting legislation away from the appropriate Select Committee to one which does not have the appropriate level of expertise to deal effectively with it, e.g. Electoral (Disqualification of Convicted Prisoners) Amendment Bill 2010, and the Sentencing and Parole Reform Bill 2010 come to mind. 5. Finally, Take the time over the summer vacation, to read Amartya Sen’s “The Idea of Justice’, and its predecessor, John Rawls ‘A Theory of Justice’. 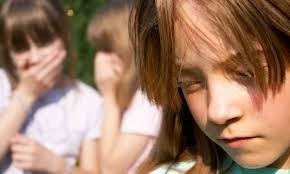 You will know you are successful, when you are able to open a Conference on Cyber-bullying without a twinge of guilt. When you are able to speak about restorative justice knowing that ‘making an apology’ is not a sign of weakness, but a symbol of strength. When you encourage broad and open discussion about what real justice looks like, and how it can be achieved. We of the justice sector look forward to working with you – and we offer our support over the difficult years ahead. We look forward to being once again, a nation that loves justice, and regards robust , honest and open politics as a force for good. Brown, C. (1981), Forty Years On. Christchurch. Robson, John Sacred Cows and Rogue Elephants, p 280. 5] Roberts, J. Prison (1975). “Prison Chaplaincy in New Zealand.” Dissertation, Diploma in Criminology with Honours, Auckland, University of Auckland.